Nick Lowe is back and has re-discovered his rockin’ side on his first new release in half a decade. This EP is limited to 3,500 copies and features two 45s in a gatefold package. 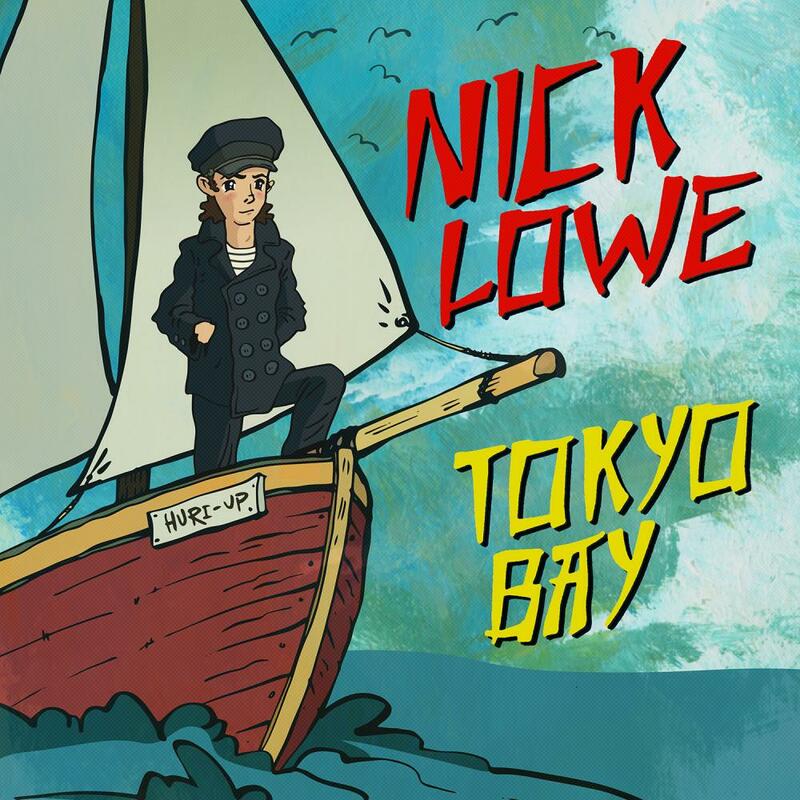 Tokyo Bay/Crying Inside is a four song EP featuring two Nick originals, the shiprockin’ “Tokyo Bay” and introspective “Crying Inside,” plus covers of the Bee Gees’ “Heartbreaker” and Cliff Richard’s “Travellin’ Light.” Nick’s recent tour mates, Los Straitjackets, are his backing band on this record, contributing to the sounds of Nick rocking his hardest in decades.